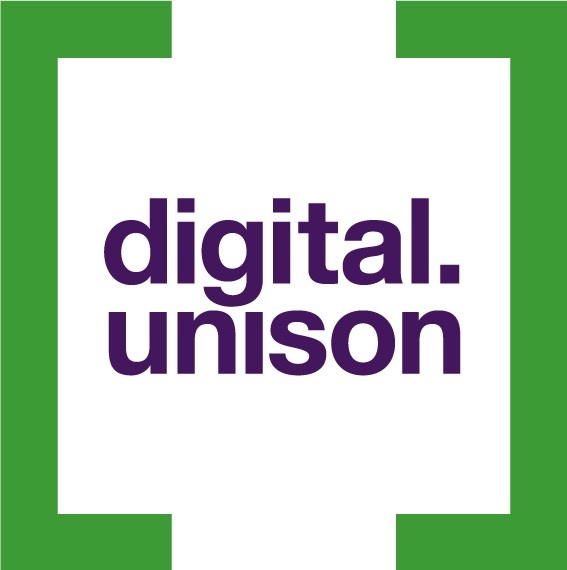 For over two years now, I’ve been developing UNISON’s digital strategy. It is, as all strategies tend to be, a work in progress. However we’re now stepping up a gear with the launch of a two-year work programme. Why is this relevant? Well, read on and find out! The known knowns were the things that no one argues against when you say them. The truisms. As a starter, we know that nothing is more effective than talking to someone face-to-face. Millions of face-to-face conversations every year are what makes UNISON strong. We know that digital can’t replace this. Digital should only ever be used as on online tool to enable greater action in real life. It’s there to complement the conversations that you have, not replace them. How can it complement face-to-face conversations? Well, a conversation with a member might be more productive if we could make changes to their member records on the fly. Taking that a step further, we know that with more information to hand – for example which surveys they’d responded to and (if it was appropriate) the views they’d given – conversations might be more successful. This is the kind of thing that the political campaigns like the Obama campaign do as a matter of course when canvassing. We know that email and text can be essential in quickly reaching large numbers of members in one go. But we also know that our members are bombarded with information and we know that we have to be careful in adding to that. We know that a phone call, email or text may our only choice to reach a member who works in remote or inaccessible workplace – say someone working in an outsourced local government function or a school. As the workplaces we work in change and become more fragmented, we know this is becoming a bigger issue for us. We know too that digital is empowering. Because of a new breed of digital tools, staff and activists in branches and regions are doing things for themselves. For example, we have hundreds of UNISON websites – branches, regions, other parts of UNISON. Each run on a different system, each with completely independent content. It’s not just websites. I know of dozens of different email tools in use, hundreds of UNISON social media accounts, many people trying different digital project management tools, branches spending thousands building fully-featured case management tools or apps. Branches and staff are doing this because they need to, and the innovation they’re showing is amazing. But it can make it harder for our members as information lives in many different locations. And we know that it isn’t great value for money for every branch and region to spend on building their own tools – reinventing the wheel every time. I would also hazard a guess that many branch activists would rather get on with organising their members rather than talking to web developers or learning what exact size a social media image should be and how to produce one that looks good. Look at 38 degrees and other online activism sites running campaigns about workplace issues. Look at the discussions happening in the Labour Party around mass democracy. These organisations are looking at giving members an experience of different forms of democracy and different ways of establishing political legitimacy. I’m not saying they are better or worse than what UNISON has already, just that we are likely to see members’ expectations of what democracy is change as a result. Look too to the ways some organisations offer support to their members. People see immediate responses to an email to John Lewis. They then expect the same of an over-worked branch where facility time has been cut to nothing. Then they take to social media to complain when the response doesn’t come immediately. They know from tweeting train companies that going public can be more effective in getting action than a private complaint. All of this becomes more important and relevant when we’re talking about recruiting the younger members UNISON needs to survive, people who grew up in the age of the internet and social media. The known knowns prove to me that there are lots of good reasons to start a co-ordinated digital programme at UNISON. But if we accept the case that something must be done, the question becomes what. Then you find you need an answer to a whole load of known unknowns. Trying to work through the known unknowns – what work should we prioritise, how much will it cost, how much can we save from digital, who should be involved and how – is what I’ve been working on over the past two years. I’ve mainly done it by running a number of small scale trials of new ways of working. Where we aren’t sure of what could work and how, our mantra is generally ‘computer says yes’ – even if sometimes that means agreeing to do something for someone and having no idea before we start how we might actually achieve it. For example, with the Trade Union Bill looming we agreed to run a programme to get more email addresses and mobile numbers for members. a special online form that didn’t require a login but used a few key details to verify they are who they say they are. This was designed to be as quick and easy as possible to participate. Amazing prizes provided by UNISON partners, including the top prize as £10,000. A new two-way text message service that people could use to automatically enter the draw. 136,000 members entered the draw and either verified their existing details or provided new ones. We got tens of thousands of new email addresses and mobile numbers as a result. By just going ahead and making it happen we’d discovered some answers to a whole load of previously known unknowns. We now knew the level of participation we could expect in this kind of activity (10% of all members). We knew how much it would cost UNISON (very little indeed). We knew some of the best ways to prompt people to action. We knew what percentage of retired members would participate over 10%). Another area I’ve been working on more recently is consultative ballots. I’ve really keen to find out what percentage of members we can get to participate if we run these digitally. Whether these ballots can offer us intelligence on which segments of our membership feel what about the issues, so that we can plan our next steps. I also want to develop a system that allows branches to not worry about SurveyMonkey or Outlook Surveys but to focus their efforts at this key moment on meeting members and getting them to participate in action. We’ve run two trials so far, one for the ambulances’ industrial action and one for a small number of higher education branches in Yorkshire and Humberside. In the ambulances’ ballot we managed to get over 40% of members taking part – and this was a ballot that could only be accessed if UNISON had your email. If you just look at that group, the members with emails, we got more than 50% participating. With the looming implementation of strike thresholds in the Trade Union Act that figure could be important. We’ve now improved the system so you don’t need an email to participate, you can access the system in the same way as members did the prize draw – through an online form which people give basic details to. Which means it is a lot easier to get people to participate by putting the address on leaflets or other tools and apps. We’ve also added an address check as part of the process – where we ask anyone participating to verify the last three characters in their postcode. We used this in the Labour Party affiliated supporter registration process. The next thing we’re going to add is a way for a branch to print a version of the ballot paper for people who don’t have the internet – this will use scannable QR codes to keep the vote anonymous and one-member-one-vote. Trials like these have helped me get some answers to some of the known unknowns, giving me a clearer idea of what a digital programme should focus on. As digital is so fast-changing, you need to be prepared for constantly moving realities. Uber is only seven years old. Facebook and Twitter are still just only over ten years old. There’s also the changes in society you can’t anticipate: for example the Trade Union Act was not on the agenda when I started at UNISON. Yet a year later almost my entire working week was devoted to it – not so much fighting it in my case, my colleagues led on that side. I was focused on what would happen if we needed to switch a large portion of our members who paid their subscriptions through their payroll to Direct Debit. Ending the ‘check-off’ system of paying union subscriptions through payroll was one of the clauses of the Bill, until it was removed at the last minute. Luckily, the unknown unknowns can be key to driving change. The Trade Union Bill made that clear. On the issue of check-off, we were able to move forward on a number of fronts and really try some new and innovative digital things. Firstly, we trialled a new digital contact management system, Salesforce. This is used by big private sector companies and not for profits to connect their people data (in our case, members) with digital email systems, text message systems, survey systems, political campaigning systems. Salesforce is like the human being in evolution: an adaptable generalist. It’s a great example of a ‘Computer says yes’ tool. Making changes and using it in new ways can be relatively quick and simple if you have a monthly subscription. So it is a perfect complement to our membership system, which is more specialised to UNISON. This deals with core member management, course sign-ups, ballots and support cases really well. As with evolution, having high levels of specialisation is a great strategy at times when there is no change. At times of change, generalists like Salesforce come into their own. We could use the bundled Salesforce phone app to allow organisers in the North West to record contacts with members in their direct debit switch pilots. The lessons we learned have been incorporated into a member contact tool being developed by our colleagues in our membership team. We integrated the organising data we were collecting with automated digital communication programmes. So people got different emails, text messages or postal communications depending on the data we had on them and what they did when they received a communication. If they didn’t respond to an email, they’d automatically get a text a few days later. All of this was linked into a new form on the website that allowed members to switch quickly online – and offered an online chat function so that operators at our UNISONDirect contact centre could help them if they had any problems. We could build everything we wanted quickly and cheaply because we had brought in tools that could easily adapt to changed circumstances. 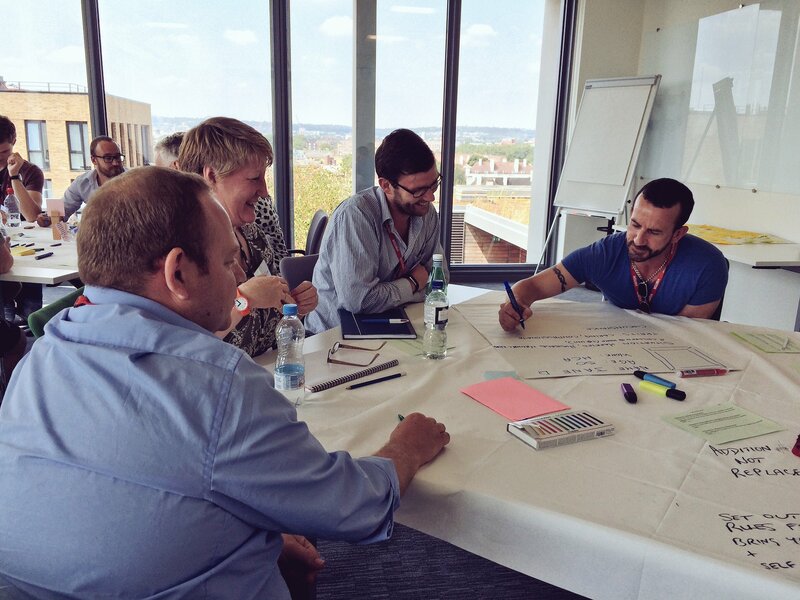 The digital programme builds on our check-off work and is focused on using change in the wider world as an opportunity rather than a challenge. I hope it will help us respond to new crises or needs as they come. One thing I think we can be certain of is that the next few years feel quite unsettled. A website platform for branches to quickly and easily create modern, good-looking and powerful websites. A campaign tool that regions can use to develop impactful digital campaigns, including petitions, writing to MPs and other similar tools. The identification of digital workers and champions around UNISON and development of a digital learning programme. 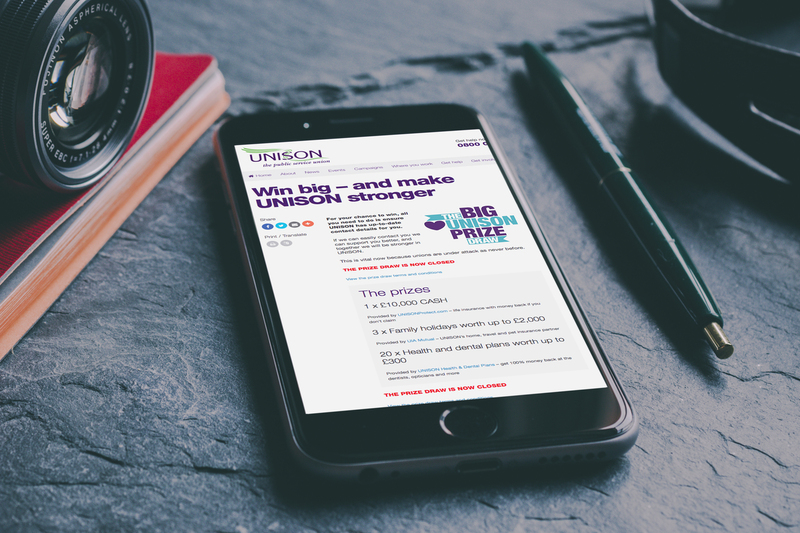 The continued updating and growth of this UNISON digital blog. An online system to allow members to register for UNISON courses. A programme to identify potential activists based on their online activity so that we can prompt them to join our activist courses. A programme to trial new approaches and tools to use in consultative ballots. More data update programmes like the prize draw. 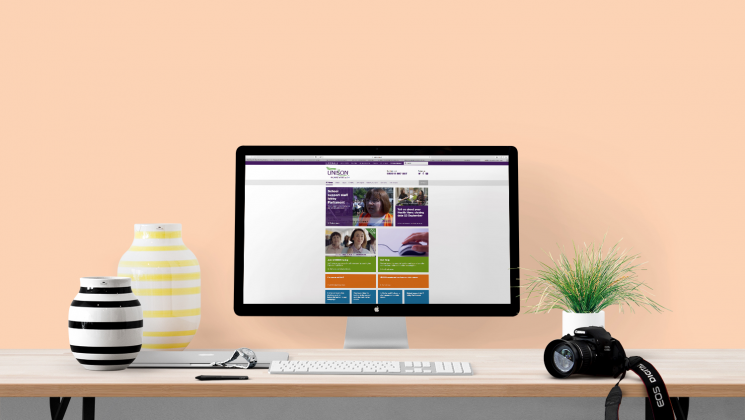 A digital welcome journey to help the 60% of our members who join online to understand how UNISON works and how they access UNISON services or campaign with UNISON. 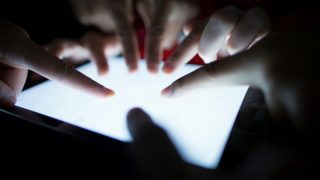 The renewal of the online join form, with a focus on honing the user experience to get more members through first time. A programme to deal with automated email replies – for example out of offices for members who left job or have changed their email addresses. 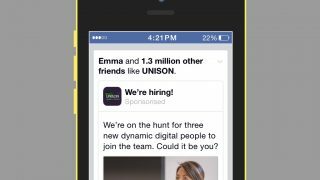 The continuing development of new ways to contact UNISONDirect, including through Facebook, WhatsApp or other channels. As I said earlier, a lot of this programme will be built on demand and opportunity. So, what do you see as the demands we should meet? And what are the opportunities we should take? Let us know now and we can try and work it in!